You are invited and encouraged to let us know the name and yahrzeit of your beloved ones who have departed. We will add them to our bulletin on the month in which the death occurred and also on the Yizkor list published on Yom Kippur. You will get a reminder when the yahrzeit occurs. 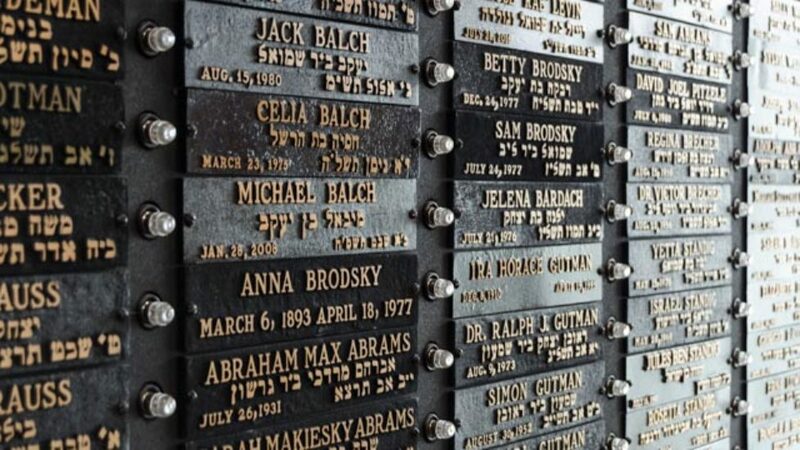 In Jewish tradition, when the year of mourning is over, mourners are expected to return to a fully normal life. There are several occasions each year when our loved ones who have passed on are memorialized. The most significant of these is yahrzeit, the anniversary of the death, which is observed according to the Hebrew calendar. As is the case in all Jewish holy days, yahrzeit observance begins at night. At Agudas Achim many people choose to attend the Shabbat or Holy Day service closest to the Yahrzeit or the Monday/Wednesday service at 6:00 p.m. pm which is held on the days Hebrew School is in session. You can also request a minyan on other days.Yahrtzeit candles are available in the Gift Shop.